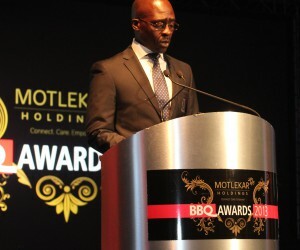 The keynote speakers at the 2013 Motlekar Holdings Black Business Quarterly Awards may have hailed from widely divergent political backgrounds, but in one respect they reached consensus: it is time for black business to examine its role in society and raise its game if it is to achieve its destiny of driving the social and economic transformation of South Africa. 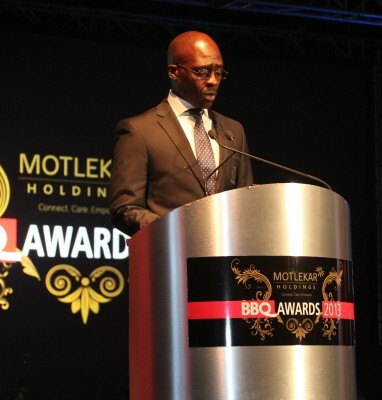 First to speak was Minister of Public Enterprises, Malusi Gigaba. In an earnest and impassioned address, Gigaba urged the illustrious crowd of celebrities, dignitaries and guests to celebrate South Africa's economic transformation achievements to date and soberly reflect on the road ahead. Gigaba went on to quote from Minister Gordhan's mini-budget speech, advocating more savings, investment, expansion and diversification, accelerated job creation and faster, inclusive job-creating growth. Growth is needed to increase the number of enterprises, create more jobs and generate the revenue needed to fund social programmes, infrastructure interventions and industrial incentives. “We have a duty to broaden opportunities for those who do not have secure incomes, formal jobs, solid homes or access to electricity or healthcare. We have to share the benefits of growth so that those of our people who are most vulnerable and disadvantaged can say, 'This economy works for me.'" This requires “cooperation and greater alignment between labour, business, government and other sectors to get things done” in order to build “a smart South Africa”. Gigaba appealed to the audience: “Would you not see it as a moral imperative for you to advance economic transformation, not for personal gain but for the communities that you do business with, including the workers, in the form of worker-share schemes?” Urging the audience “to think about what type of social contribution you should be making in South Africa to eradicate poverty and unemployment”, Gigaba stated that black business has been “anointed by history” to shoulder this “enormous responsibility”, hastening to add that being a partner in development did not preclude making profits.